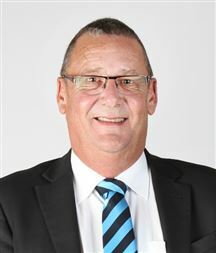 Paul McNeil is proud to join the Harcourts Hamilton team in the capacity of Sales Manager Chartwell. Paul brings a wealth of experience to the role with over 17 years managing highly performing Real Estate teams across varying markets. His philosophy is simple, do the basics well and the rest will follow. Please contact Paul or any of the Harcourts Chartwell team to discuss your Real Estate requirements. Arie Harris quickly excelled to a highly proficient communications consultant; he is skilful in customer relations, personal networking and also a talented negotiator. 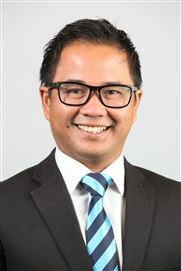 In addition to a wide range of experience throughout numerous industry sectors, Arie holds an extensive academic background in the lucrative areas of Computational Science, Systems Analysis and has been awarded a Post Graduate in Management and Masters in Management Studies. Client focus is one of the key points that Arie knows to be essential for delivering the best results when buying or selling your property. Arie now invites you to join his success when buying or selling your property. Arie shares a passionate motivation to succeed as a sales consultant of the Harcourts, Monarch Real Estate Ltd MREINZ, Chartwell branch. Chris joins Harcourt’s Hamilton team based in Chartwell as a Residential Salesperson. Prior coming to the Real estate business Chris worked in both the commercial and not-for-profit sectors as a property manager and administrator which has led to a keen eye for detail. Her primary aim is to help you achieve your property goals. She brings a calm, considered and positive voice to her property relationships, so if you’re thinking about buying or selling call Chris to discuss your options. Originally from Shandong in China Cindy and her family have made Hamilton their home, and have enjoyed becoming involved in the local community. She is fluent in both English and Mandarin which has proven to be a great asset to her many satisfied clients. Cindy has a master’s degree in management (electronic commerce) affording her the ability to make the most of today’s technology based marketing systems. She believes firmly that communication is the basis of any great business relationship and to this end will go out of her way to provide exemplary service to all who use her services. Strong negotiation skills and a can do attitude ensure that Cindy gets the job done in seamless and timely manner. Within excess of 20 sales in the last twelve months, (many in the million dollar bracket) you can be assured that Cindy will look after your real estate needs in a professional and timely manner. Buying or selling, call Cindy today for friendly, professional, and honest advice. With a strong Farming, Tourism and Teaching background Francine has lived in the Waikato for the past 33 years and has sold Real Estate for 30 of them. She is happily married to Bill, who was born in the regional Waikato. Francine is experienced, street-smart, a straight-talker with finely honed negotiation skills, yet is totally down to earth providing personal and outstanding service to both sellers and buyers. 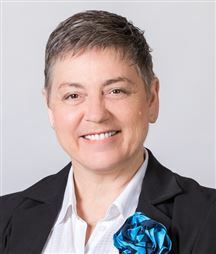 Francine has extensive and expert knowledge of Hamilton City and its outlying areas. She has personally built and renovated homes, invested in property and dabbled in land development. 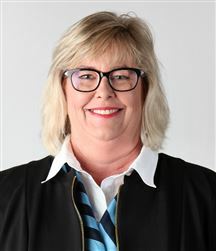 Francine has built strong lasting relationships over the years and comes to Harcourts with great respect in the market place. Francine has also nurtured a loyal knowledge base of legal professionals, building inspection specialists and home staging people to make your tough real estate transitions easy ones. John comes from a banking background. As an experienced and successful Harcourts Salesperson John practices a “customer first attitude” where recognising and respecting his clients' needs leads to the right property solutions. John is familiar with the challenge of relocating clients into their homes. John has enjoyed a Real Estate career of 9+ years. In that time he has been recognised as a Top Sales Consultant both for Harcourts and previous Real Estate Company. Constantly achieving excellent sales results. For the year 2011-2012 John was ranked No “7” in the Residential Team and for the year 2012-2013 he was ranked No “7”, and for the 2013-2014 year he was ranked number 6. For the Central Region he was placed in the Top “25” for the last 3 years. Integrity and a “can do” attitude are John's guiding principles in his Real Estate business. John is highly respected by both his clients and colleagues. It is definitely “Better in Blue” – employ John today to look after your Real Estate needs. John Vandy brings with him a real enthusiasm and passion when it comes to working with his clients, whether they are selling or buying. In his first year of Real Estate John won the "Rising Star" award for outstanding achievement in Real Estate Sales for Monarch Real Estate at the End of Year Awards at the Novotel in Hamilton, as well as being named Rising Star for the months of June, September, October and January. An outstanding achievement in his first year of Real Estate with Harcourts. John's success is a result of his integrity, outstanding communication and people skills, determination, and sense of humour. His goal is to provide an enjoyable stress free Real Estate experience, by listening to his client's needs and working with them to provide the very best outcome. Clients satisfaction and positive results are very important to John. If you are just starting out and looking for your first home, upgrading or maybe looking to start an investment portfolio he would love to hear from you. John's goal is to turn your real estate dreams into reality. Kim is based at the very successful Chartwell branch located in the Westfield Shopping Centre. With the enormous growth in this area, it is a very busy and exciting place to be. Kim has 15 years sales experience behind him and has previously been a teacher and orchardist. This varied career path complements his natural people skills enabling him to relate well to a wide cross section of people, and help ensure success in real estate. Kim lives in the area with wife Wendy and enjoys tennis, skiing and golf. Kim is passionate and professional and is committed to providing excellent service results to his clients. Nour brings a lifetime of sales experience and with that comes her natural ability to relate with diverse customers from all walks of life. She takes pride in her ability to communicate and to really listen to what the customer wants and needs. Nour’s integrity and honesty, coupled with a high standard of professionalism and a friendly demeanour, along with her genuine passion towards the real estate industry, mean she thrives on relating with people and bringing positive outcomes for customers. The industry commands honesty and excellent communication, plus an exceptional duty of care, these qualities are Nour’s strengths. Nour will use her creativity, and work with unrivalled diligence and determination in order to help you achieve your unique property goals. She looks forward to working with you towards them. Phillip (Tun-Li) Wang is back. He used to help hundreds of new immigrants to settle down in Hamilton while he studied at Management School, Waikato University. He built up very strong ties with these Asian people and it was a great joy for him to be able to help others and establish his career in a new country. 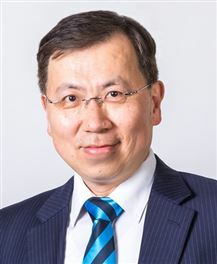 In his interview with local newspaper Herald, he claimed that “Hamilton is an ideal city to live.” Afterwards, he moved back to Taiwan and worked as a financial consultant for high-asset clients. Long years in financial companies, such as JP Morgan, UBS, and Fidelity have developed his keen sense and expertise in financial management in the global market. Furthermore, it was his enthusiasm, trustworthiness, and service that won the hearts of his clients. Now, with the same spirit and attitude, he is committed to making his clients’ dreams come true. Phillip speaks Chinese, Taiwanese, and English. Real estates are not only important assets in our life but also a part of investment portfolios. Don’t hesitate. Give Phillip a call to help you and your family manage your properties. I am very excited to be able to start my Real Estate Career again. Having spent the last 3 years building Dress for Success Hamilton to become a very well known not for profit organisation. Along this journey I have learnt that there are many people in our society that need a lot of help to make there journey much better. I have managed to learn about time management, how to run a team of Volunteers, run under a Board of Trustees and how important it is to give back to the Community. Now I would like to have the opportunity to enter back to my past career. Now I am healthy and feeling energetic I am excited to let you know I am ready to meet with you. Please feel free to call me so that we can start your future plan. A retreat in the city. Aberdeen is to be Seen! Owner is ready, are you? A great first home ! Selling below CV - BE QUICK!! Enjoy now add value later. Brand New, Ready For You! Old to New. Top to Bottom.